Happiness is not a potato. Some days later, I came across the quote above, by Charlotte Bronte. 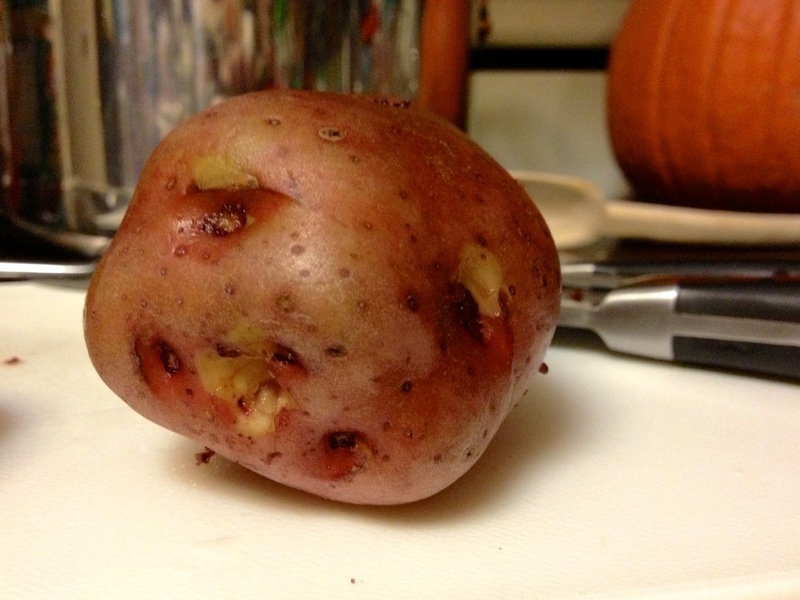 Indeed, happiness is not a potato, and I had the photographic proof. If anything, as far as I can tell, sadness is a potato. While perhaps not with the same frequency as my sharing of leaves, this is far from the first time I’ve shared vegetables with faces. In fact, 3 years ago, a butternut squash and I declared November 21st to be International Day of the Odd Vegetable.² Together, the squash and I reminisced about an eggplant we once knew. How about you? Have you come across any produce with personality? 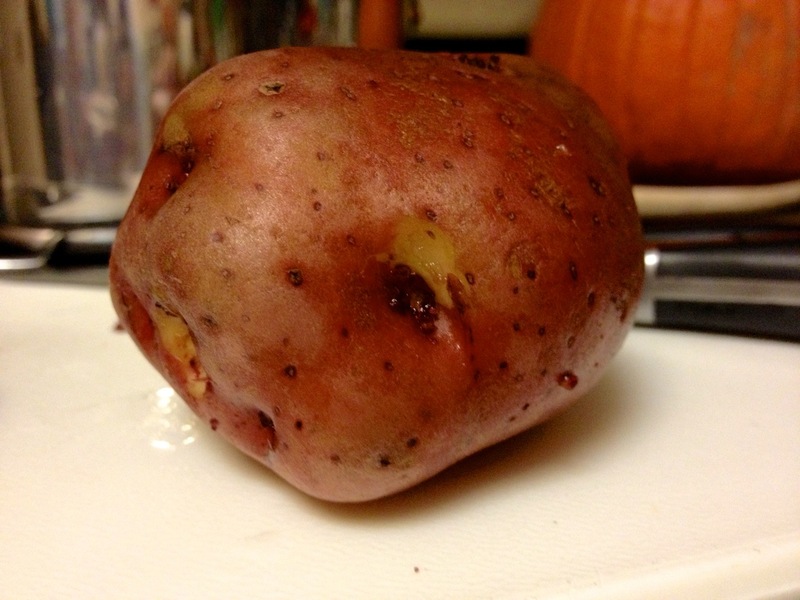 ¹ That’s what I was imagining I’d call a post about this potato. ² Alternately, The Day of Peculiar Produce. This entry was posted in photos, silliness, vegetables and tagged food, humor, photos, quotations, silliness, vegetables. Bookmark the permalink.